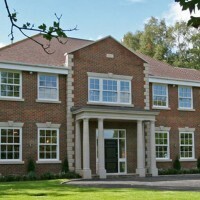 Sash windows have been popular in houses throughout the UK for hundreds of years. They first came into prominence in the Georgian period and their popularity grew throughout the Victorian era. Here at Merton Windows and Doors, we supply and fit a range of windows including sash windows, box sash windows, French casement windows and casement windows to homes and businesses in Brixton, Stockwell and throughout London. Vertical sliders are designed so one or more sections of the windows slide over the other using counterweights and cords. Traditionally sash windows are known for jamming, getting stuck and for having draughty spots. Our sash windows boast all the fantastic aesthetics of classic sash windows with technically-advanced products and engineering, so these issues are things of the past! We can install these windows in a variety of materials including timber, that has been designed to withstand weather and warping. Our vertical sliders are low maintenance and energy efficient, so they are extremely effective at reducing heat loss to the outside world. With high-end sealed units – the thickest density available – you can be sure you are saving money on your fuel bills. Traditionally sash windows have always been seen as less secure than other window styles but our sash windows are extremely robust and have a number of expert features, including bolted locks, for extra security and to keep potential intruders at bay. We always provide a dedicated and expert service and our family-run team are proud of the reputation they have built for outstanding workmanship. If you are restoring a traditional home, we can help – read our blog about choosing new windows for an Edwardian-style property. As well as sash windows, we also supply and fit a huge range of aluminium windows, timber windows, uPVC windows and Residence 9 windows in Brixton, alongside other glazing products. We know that your property is important to you, which is why we are always happy to discuss our portfolio of glazing products and talk through the range and your requirements and budget with you to find the right solutions. To request a quote, please call us now on 0208 542 2233. 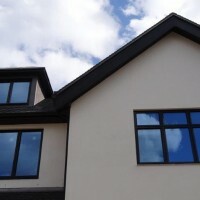 Why choose casement windows for your Brixton property? Another very popular window style is casement windows. 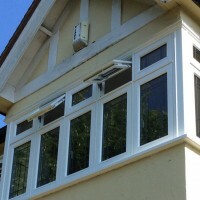 These windows are fixed with two or more hinges at the side and can open inwards or outwards. 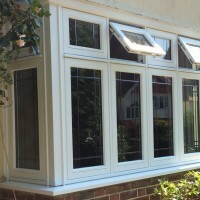 Available in uPVC and timber, they offer complete versatility and are practical, modern and contemporary. They come in a number of designs, ideal for different types of properties, including French casement windows, which offer a clear opening without a mullion divide. Operating like French doors, they allow you to flood your property with light and air. Please call now for a free, no-obligation quote with scaled drawings on 0208 542 2233. Alternatively, you can get in contact with our team by filling out an online query form or by emailing [email protected].